A house has walls and a roof but a home is everything in-between. Making a bedroom feel like home is important for kids and wall decor such as wall art stickers is a fast and affordable way to do so. I still remember the first house that I ever lived in and that house, to me, will always be home. My parents painted my walls a bright blue (my favorite color) and pictures of dolphins were around every corner. 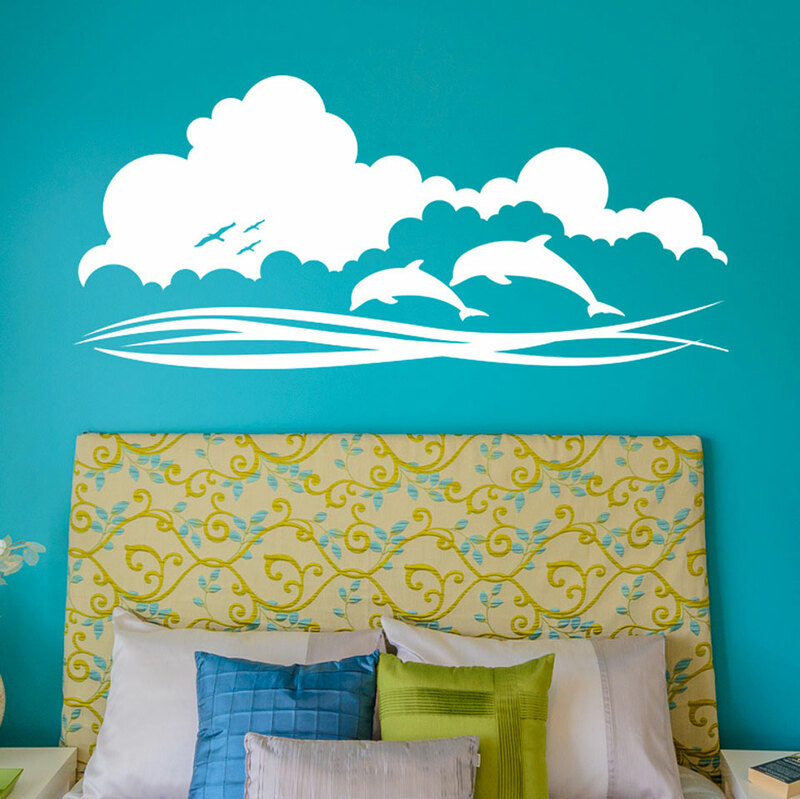 I know for a fact that my childhood-self would have been overwhelmed with joy if I had walked into my room one day to find a dolphin wall decal on my wall. When you hear the word "home" what do you think of? First, I think of the people I share the home with. Then I think of my room; the place where I spent a lot of my alone time. It was a place for creativity and a canvas for self-expression. I was able to start with four white walls and build a world within them. I truly felt that I built a home within that little room and I truly feel that you can too. Using wall stickers for kids bedrooms is a great way to achieve this homey feeling. Colors that make your little one feel relaxed will help make him/her feel calm when entering the room. By that I mean, if you know your child enjoy music, have music related themes found around the room. 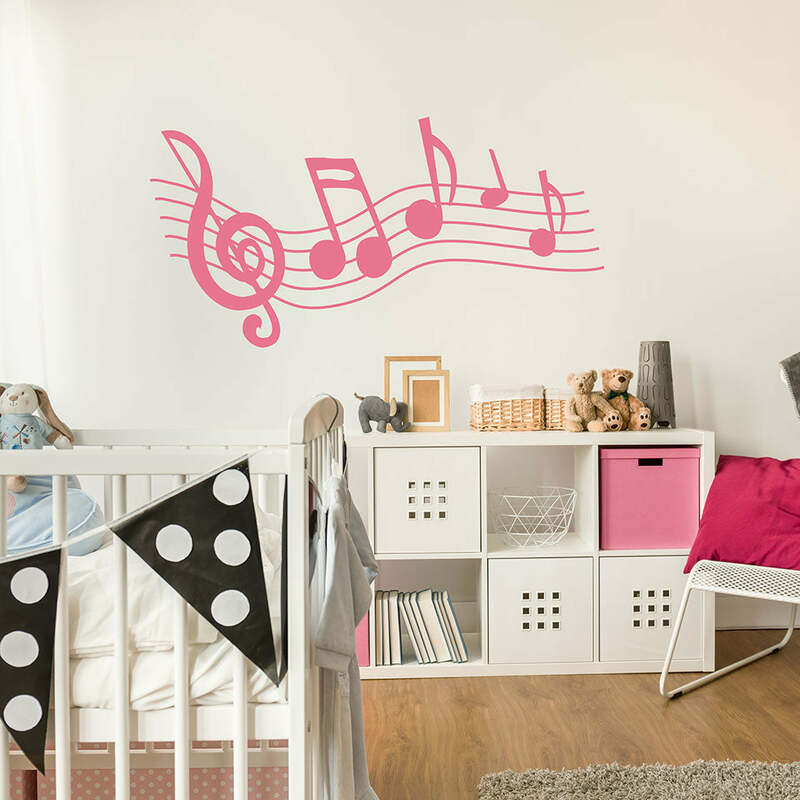 For instance, I would add this music wall decal above the bed among other music related decor items. Kids have wild imaginations and their rooms should encourage that kind of brain work. Letting them choose how to decorate their room is a wonderful place to start. Creativity can be sparked based on your surroundings. Give kids the surroundings they need for their minds to explore. When it comes to decorating your kids room, we have what you need. We carry a large selection of kids bedroom wall decals in the following collections: girls bedroom wall stickers, nursery wall decals, boys bedroom wall decals and animal wall decals for kids. If you have something particular in mind that you are not finding, contact us and we will help you find the right wall decor design to add to your child's room!